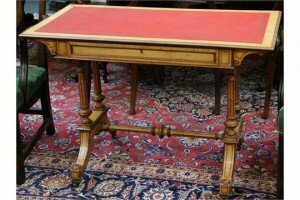 A late Victorian satinwood and inlaid writing table, with tooled leather writing surface over a frieze drawer, raised on turned end supports on four down swept legs, joined by a decorative stretcher. 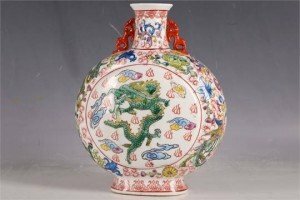 A Chinese moon flask, temple dogs to neck, foliate and dragon decoration to edges, green dragons to both panels, red character stamp to base. 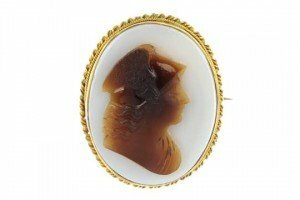 A late 19th century Scottish agate brooch, the circular centre with agate accents, to the overlapping circular panel surround with similarly-set agate detail. 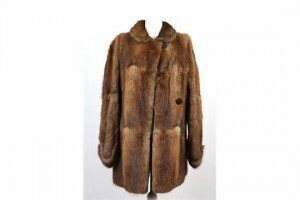 A vintage auburn and brown toned, three quarter length fur coat, with collar, cross over fastening with one button, half belt and button cuff detail, satin lined. 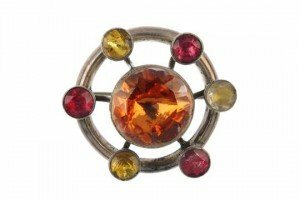 A late 19th century paste Scottish brooch, of circular outline with central circular paste surrounded by six red and yellow pastes. 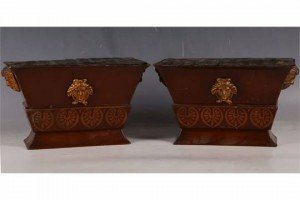 A pair of French Edwardian toleware jardinières, sarcophagus form, classical red ground with gold decorated acanthus leaves and having applied gilt masks. 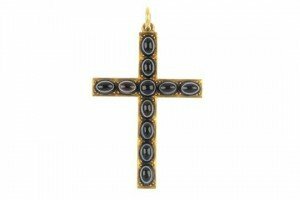 A mid 19th century 21ct gold agate cross pendant, designed as a cross set with oval banded agate cabochons to the circular banded agate cabochon centre. 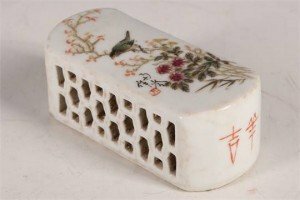 A Chinese paperweight, white glaze, study of a bird in flowering tree and shrubs, inscription, pierced flanks, character marks to ends. 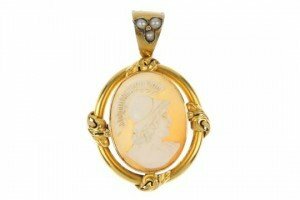 A late Victorian shell cameo pendant, carved to depict Ares, to the scrolling foliate accent halo, suspended from a split pearl trefoil tapered surmount. 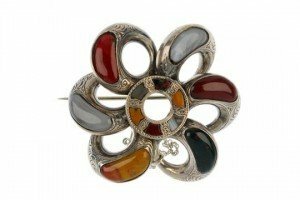 A mid 20th century 9ct gold hardstone brooch, of kite-shape outline, the oval agate cabochon collet, to the scrolling detail surround. 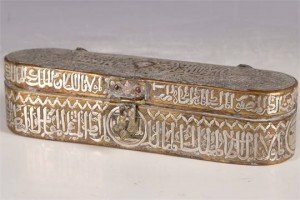 An Islamic cylindrical box, on tripod animal form feet, with domed cover surmounted by a finial, inlaid with silver with calligraphy and stylised animals. 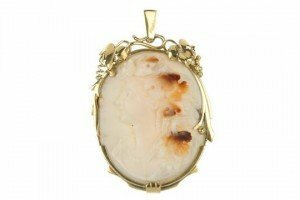 A conch shell cameo pendant, the conch shell cameo, depicting a bacchante, within a grapevine surround. Austrian marks. 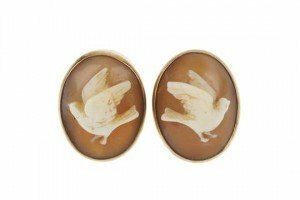 A pair of early 20th century 14ct gold shell cameo earrings, each designed as an oval shell cameo, depicting a flying dove, within a plain surround. 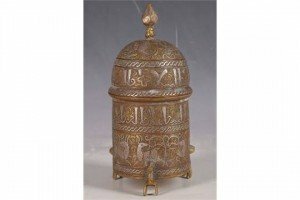 An Islamic oval section pew box, decorated all over with calligraphic inscriptions and animals in silver inlay. 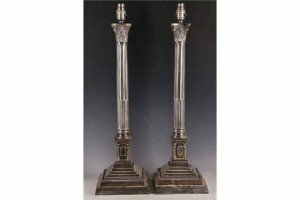 An early 20th Century pair of Corinthian column shaped, silver plated lamp bases, raised on stepped square bases. 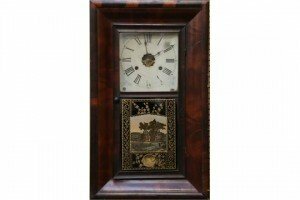 A 19th Century ansonia walnut cased wall clock, with white painted dial with Roman numerals over a glazed, painted panel. 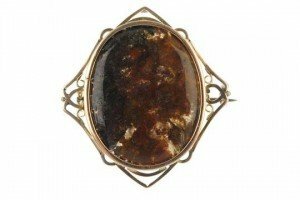 A late 19th century gold hardstone cameo brooch, carved to depict Hermes, within a rope-twist surround. 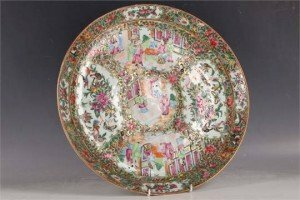 A Chinese late 19th Century Cantonese famille rose medallion circular charger, decorated with various panels of figures in courtyard terraces and exotic birds and butterflies amongst flowers and foliage. 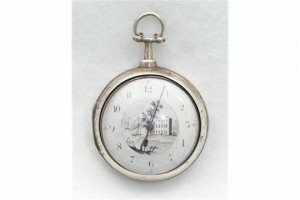 A George III hallmarked silver fusee pair cased pocket watch, the white Arabic enamel dial with central landscape scene, the verge fusee movement signed ‘B.Clowes, Liverpool’ and numbered 5448, the case and outer case both hallmarked Birmingham 1807. 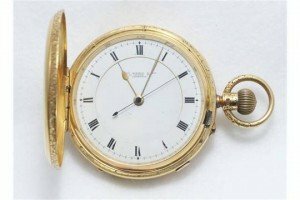 A fine quality 18ct gold Hunter pocket watch, the white Roman dial with outer minute track signed Thos Russell& Son, the full Hunter case with chased border decoration hallmarked Chester 1909, movement signed, case and movement numbered.